This one is a funny sign, seen in the small city of Bangor in Wales. 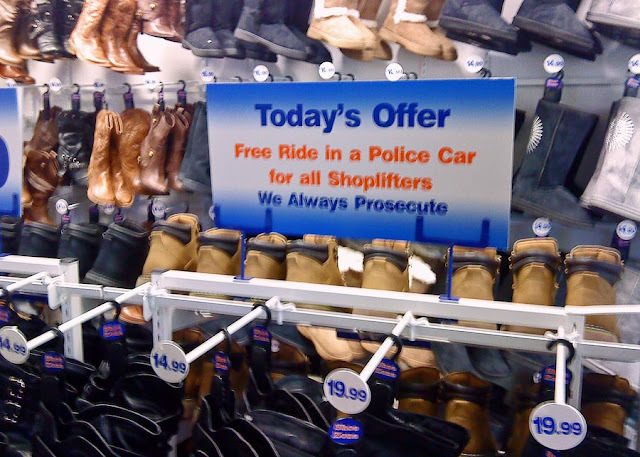 The sign offers a free ride in a police car to shoplifters. 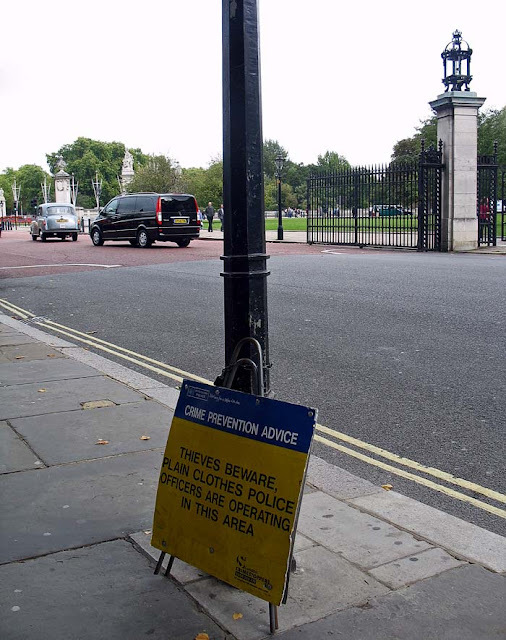 This signs which tells thieves to beware as plainclothes police are operating in the area was seen near Buckingham Palace in London. This sign is a bit of a mystery. 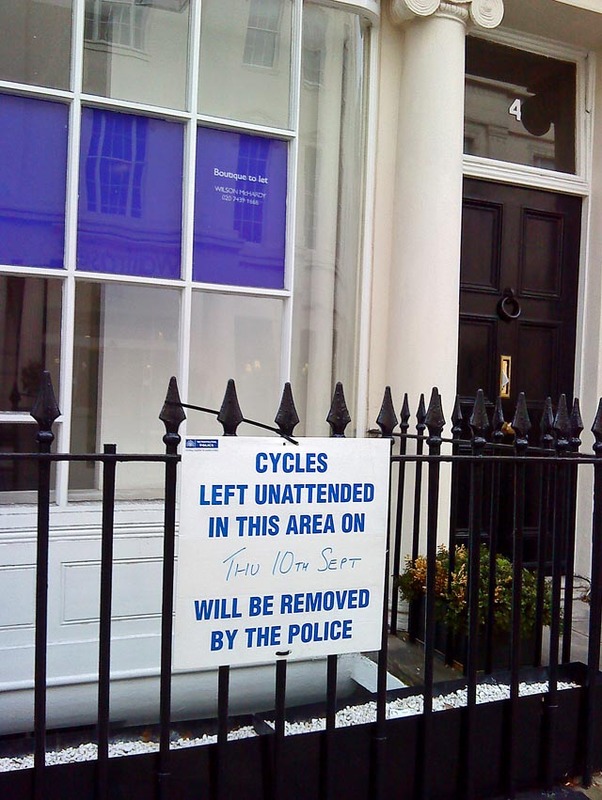 Looks like the London police will take away bicycles on certain days in certain areas!